Going Green – Is It A Responsibility? Going green has been around for a while now. It is commonly used to let folks know that there is some need to saving the planet. Going green in Accounts Payable by using automation is nothing new but its something that hasn’t caught on yet. 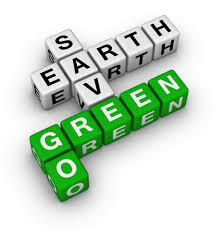 The term going green is sometimes used as a goal or outcome, other at times used as a threat, but most of the time within AP it isn’t used at all. Sure I think it is safe to write that people want to save the planet and conserve resources, but rarely have I found going green to be the chief motivator when automating Accounts Payable. Once I was engaged by a city that wanted to get the paper out of AP because they had a city council initiative to be green by a certain date. Other than that going green has been an afterthought. I think Accounts Payable has a responsibility to manage cash and make sure the bills are paid on time, at the right amount to the right vendor. I would really like to write that going green is something that deserves more attention but it’s just not there yet. I think the big road block comes from the idea that automation needs to be a business decision and not a social concern. The two, business and social, can live and work together, but there needs to be an awareness that Accounts Payable Automation is more than a faster approval process, better cash management and a tool for headcount reduction. Better vision in leadership will lead to understanding that AP Automation is an excellent business tool, but it’s also a way to limit the how many trees are cut down, and we could all use a little more trees.